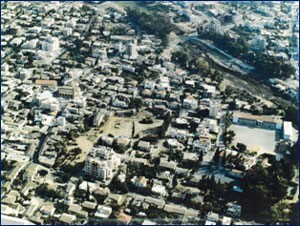 The Municipal Council consists of 27 members: The Mayor, the Vice-mayor and 25 Municipal Counselors. The responsibilities, as well as the duties and powers of the Council, are described in Articles 83, 84 and 85 of the Municipal Law N. 111/85. A Citizen’s Service Bureau and a Health and Safety Bureau also operate in the Municipality. 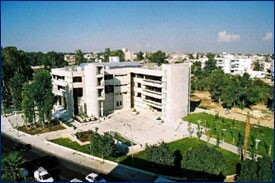 The Municipal Service has been housed in a modern building since August 2001. The building corresponds to the needs of a modern organization and gives the personnel the facility to work in a pleasant environment, giving it the opportunity to respond to the many needs of Strovolos´ citizens. It is a three-floored building with an underground, a ground floor, a middle floor and two other floors. The building has got underground and external parking places, storing places, a reception place, a cafeteria, a room for exhibitions, a room for the conferences of the Municipal Council, rooms for the committees´ conferences as well as offices for housing the Services and the Departments of the Municipality. On the North side of the building, a square has been formed which is surrounded by green areas for the organization of outdoors activities. The square is joined with the rest of the building and is extended through a semi-out door portico to the Linear Park and the Pedieos River. The Municipality of Strovolos has given a great attention to Culture since its establishment. 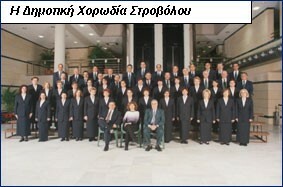 A Municipal Library has been established, as well as a Municipal Choir, a Folklore Dance Club, a Photography Club, a Symphonic Band of the Municipality of Strovolos – European University of Cyprus. The annual cultural programme of the Municipality includes a variety of events from both domestic and Greek artists. The cultural events of the Municipality include concerts covering a wide repertoire, art exhibitions, lectures, dance and theatrical performances, festivals, anniversary events and events dedicated to children. Artists who are interested in participating in the cultural programme of the Municipality, submit their proposals to the Municipality, following a published call of interest. All proposals are first evaluated by the Committee of Cultural Affairs and then by the City Council. 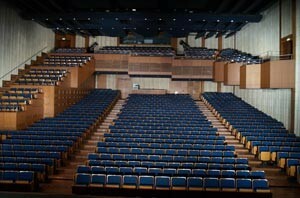 In 2003, the Strovolos Municipal Theater was completed. The theatre is considered to be a very important project, covering a big gap in the cultural life of the Municipality and of Cyprus in general. The Municipal Theatre and the Music Hall of the Municipality of Strovolos have been designed so as to host a broad amount of artistic activities such as concerts, operas, ballets, and theatre performances. Its size is for about 870 people including seats for people with special needs. This place has been designed with high standards. Particular attention has been paid to the study and implementation of the acoustic demands. Up to today the acoustic results have been proved to be very good according to the positive comments and the enthusiasm of the musical conductors, the soloists, and of the musicians who participated in several activities in the Hall. The whole set of buildings has a big reception place which is connected with the reception place of the Municipal Building, modern and comfortable dressing rooms with hygienic places, a modern practice hall, a refreshment room for the artists, offices and storing places. It has all the equipment that is necessary for the successful organization and attendance of performances. The construction of the Municipal Theatre indicates the beginning of a promising era for the cultural activities of Cyprus and it opens new horizons for the improvement of the culture and the citizens’ quality of life. The Municipal Council of Strovolos has decided to renovate, improve and extent the old Municipal Building which is situated in the old city centre of Strovolos, so as to be used as the Municipal Library (new building) and as a Cultural Centre. Τhe Cultural Center is one of the first Public Buildings in Cyprus which has been restored, designed, constructed and operated as a building of low energy consumption across Europe and has been included as an example of good practice in the European Green Public Procurement. 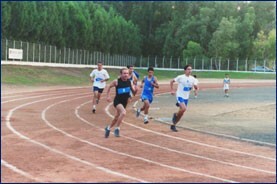 For the cultivation, promotion and growth of athleticism, the Municipality has created the Strovolos Municipal Sports Center in 1991 which is situated next to Ayios Demetrios park in 20 Koritsas Street, 2012 Strovolos, between Makarios Hospital and the English School. The telephone number for bookings or information is 22 318358. The centre consists of four (4) futsal pitches, a mini Football Pitch, a running track and four (4) tennis courts with all necessary facilities, like washrooms-changing rooms, lockers, an administration office, etc. The Sports Centre operates under the supervision of four (4) caretakers. In September 2011, the Strovolos Municipality began the preparations for the establishment of a Football Academy. The Football Academy of Strovolos is in its seventh year of operation and hosts 60 children of elementary schools aged 6 to 12 in a very friendly environment. In the area of Strovolos Municipality, 65 organized parks have been created as spaces for the entertainment of the citizens. More than 250 green spaces have been created, 340,000m² in total, while at the same time approximately 40,000 trees were planted in public areas, municipal parking lots and other areas. There are 32 organized green areas with amphitheatres, lakes, fountains and 65 playgrounds. 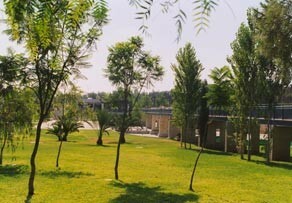 The biggest and best parks are those of Acropolis and Ayios Demetrios which are one of a kind. After the decision of the Municipal Council the caves of the Acropolis park have been turned into an exhibition area. The installation of the necessary infrastructure has been completed so that the caves can operate as a room for lectures, seminars, exhibitions, music performances, book presentations and other events. The caves have begun to host several events. The place is at the public’s disposal to organise activities or events, as described above. The Municipality of Strovolos has established the Strovolos Municipality Multi-Functional Foundation in 1994, a non-profit foundation responsible for the development and implementation of Social Policy in the area of Strovolos.